Set up in 3 minute,watch the video with mobile,tablet and pc. Built-in 32 GB SD card lets you never miss the bird activity. Built-in 12pcs High Power infrared LEDs. Share the camera to your family or friends. Enjoy 3 year guarantee and 30 days return. 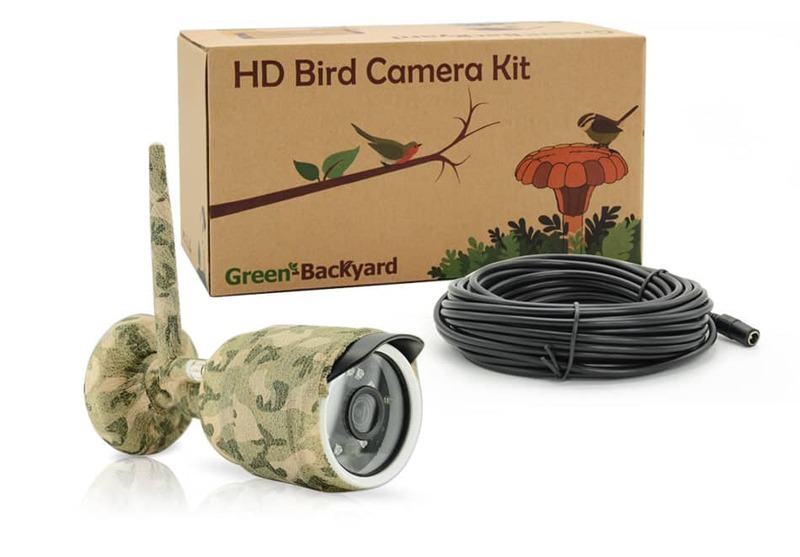 Green-backyard IP bird feeder camera is the complete system ideal for enthusiast and professional nature watchers. 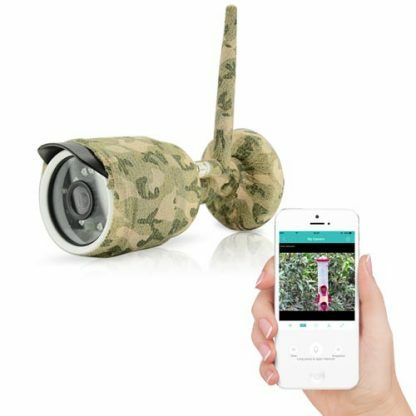 You can watch the bird feeder, bird bath, bird nest or other wildlife in the garden anywhere with your mobile phone. The camera will send a message once birds enter the motion activated detection zone. 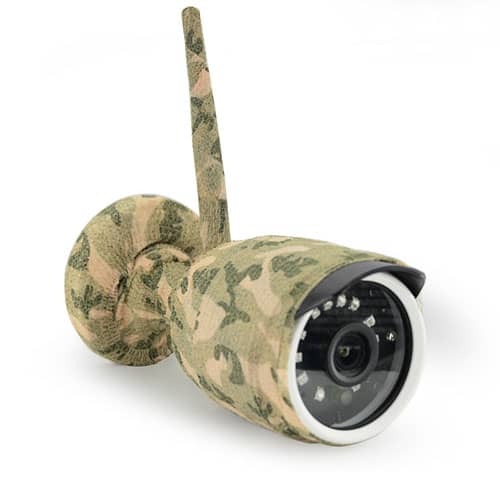 The motion detection also can trigger the video recording to the built-in 32 GB memory card, so you will find the interested video clips quickly. 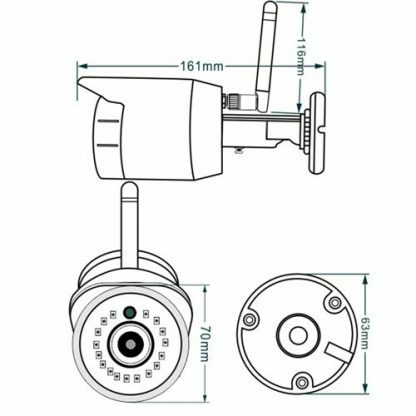 The IP bird feedrer camera streams 1080p high-definition video. It doesn’t like analog wireless bird camera which sends you only the blurry image. You can identify the birds. Notifying you when birds enter the scene. 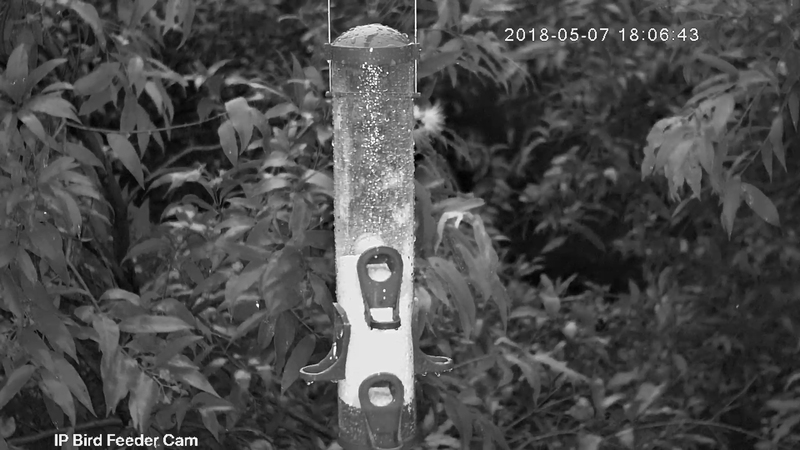 The IP bird feeder camera has built-in motion activated detection algorithm. The detection zone is configurable. 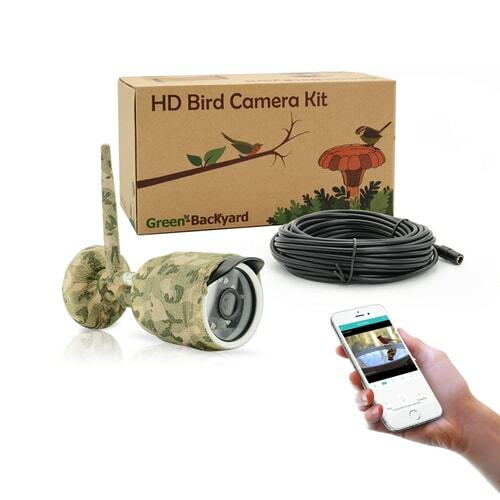 Once the birds enter the scene, the camera will send a notification message, as well as start recording the video to the memory card. 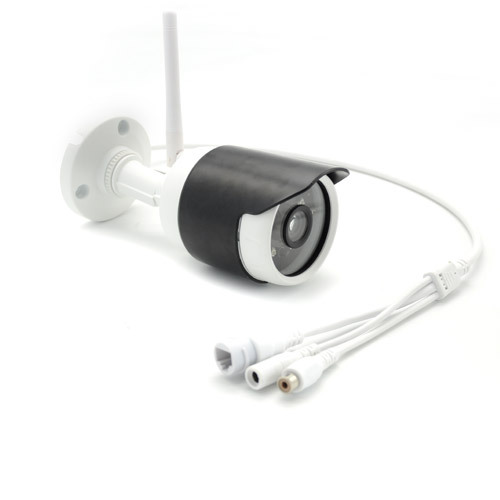 The IP bird feeder camera supports both Ethernet cable and Wi-Fi connection. The camera can be connected to a Wi-Fi network if the Wi-Fi signal coverage is good enough. Once the camera is online, Simply scan QR code, you will have live video on your mobile phone. Install a free app, you can start watching the bird nest or bird feeder . 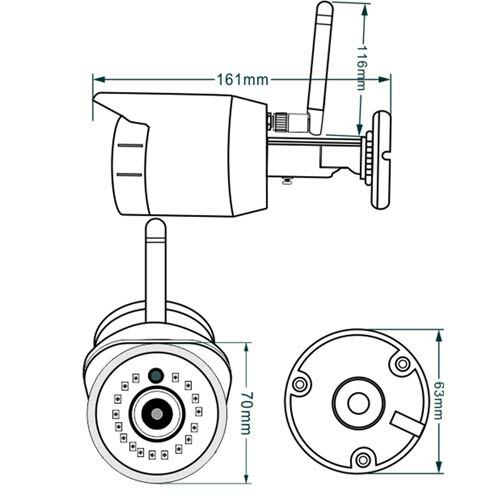 The camera is designed and built basing on IP technology. You can even view the recording video directly on your mobile phone or PC computer. 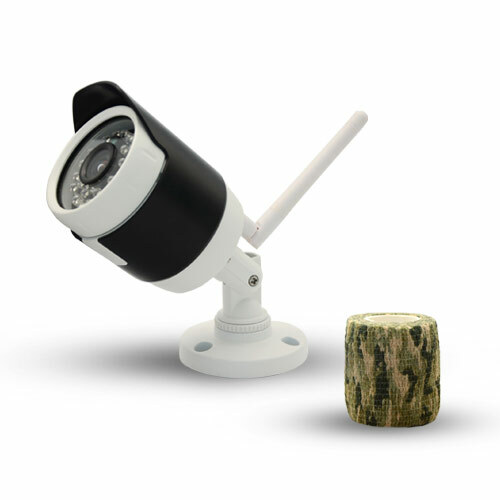 The IP bird feeder camera is equipped with 16 mm high definition lens. 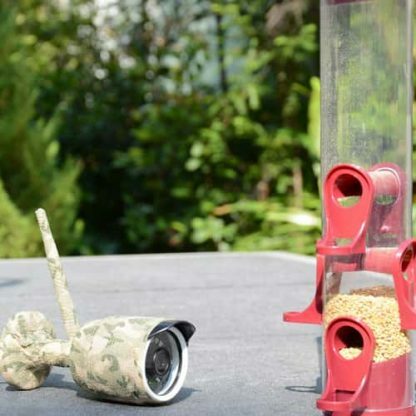 The best distance is around 2-4 meters from your bird feeder, bird bath and bird nest. 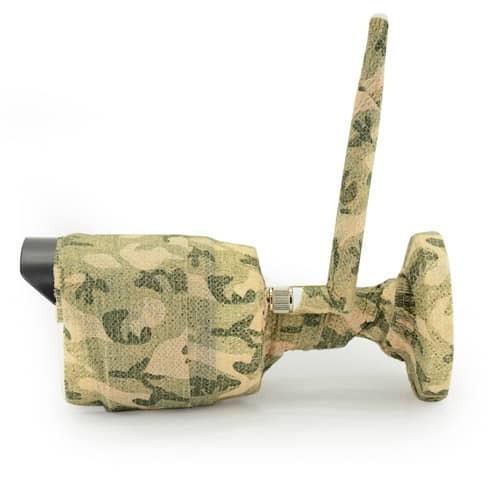 Adjustable lens designs allow you to gain the optimized focus after setup the camera in the field. You will be able to discover the bird activities at night. Built-in 12pcs High Power infrared LEDs can light up the area in total dark. Click to look at the night vision snapshot. With built-in 32 GB SD card, the IP bird feeder camera will record the video in the scene. You will never miss any interested moments. The app or PC software allow you to retrieve the video remotely without taking off the memory card. 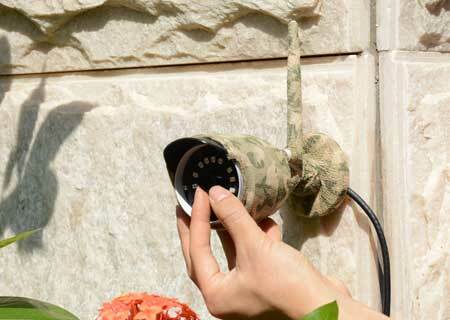 This camera is suitable for outdoor bird feeder or bird nest watching. The camera with IP66 waterproof protection can stand the harsh environment in the winter. After setup the camera properly, you can share the camera as much as you want. Install the app in a new devices. Login the app using same account. Everyone can watch camera now. Green-Backyard is able to offer free online demonstrations of our bird feeder camera. 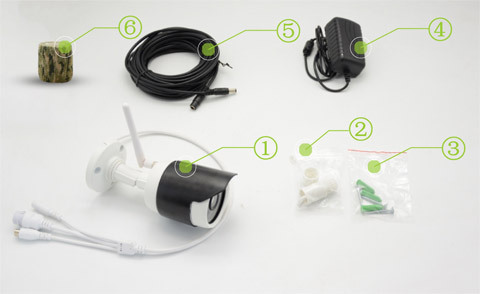 This allow you to easily test our products remotely with your mobile phone. Simply install the app from apple store or google play, you are ready to go. It is less than 2 minutes job.